It’s the battle of the strutting, preening alpha males! Fighting out of the blue corner, with the prison pallor, the brand new cheap suit, and the “not good, not bad” room at the Avon, it’s Frankie Madison (Burt Lancaster), former world heavyweight champion of bootlegging. 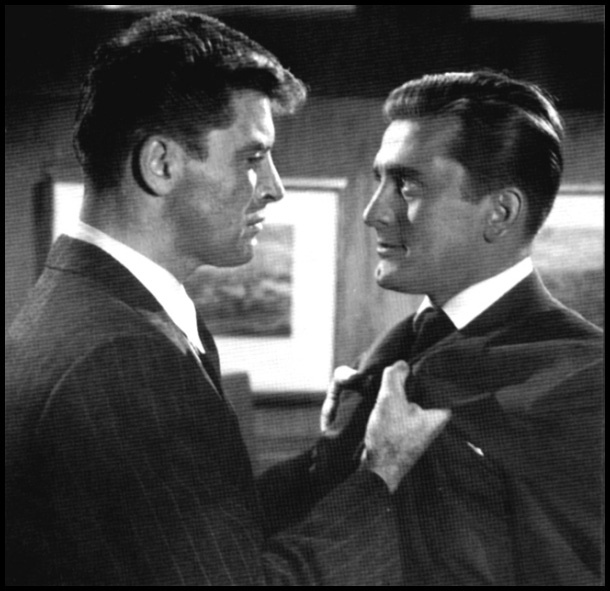 Fighting out of the red corner, with the jutting cleft chin, the expensive wardrobe, and the controlling interest in the swank night spot the Regent Club, it’s Noll “Dink” Turner (Kirk Douglas), the current world heavyweight champion of upscale criminality. Let’s get ready to ruuuuuuuuuuuuuuumble! When the film begins, Frankie, a former hard man in the bootlegging rackets who came up in a tough neighborhood and knew how to handle himself, has just gotten out of prison after a 14-year stretch for murder. He’s picked up at Grand Central Station by his old friend Dave (Wendell Corey), who’s now the bookkeeper for Dink Turner. The killing that sent Frankie to prison occurred when he and Dink were running rye whiskey from Canada through upstate New York and they blew through a roadblock set up by hijackers, which led to a chase and a gun battle that left one of the hijackers dead. Afterward, Dink and Frankie split up and agreed to go 50-50 for each other, no matter what happened or which one of them got nabbed. All of Turner’s men call him “Noll” now, but Frankie mostly still refers to him as “Dink.” When Dave takes Frankie to the Regent Club, Frankie recognizes his old friend Dan (Mike Mazurki), a hulking mug who used to be behind the door of Dink and Frankie’s speakeasy the Four Kings, staring through a little peephole. Now he’s out front, in a snappy uniform. A lot has changed in 14 years, but Frankie’s still the same guy he was when he went to prison. The Regent Club was built on the force of Dink’s personality. It was his personality that controlled Frankie back in their bootlegging days. He expects the force of his personality to still be able to get Frankie to do what he wants, but all of his smooth talk and finesse only carries him so far. Frankie is bitter than Dink never came to personally visit him in prison, and instead sent Dave, even though the prison was only an hour’s drive on the new parkway. All Dink did was send Frankie a carton of cigarettes a month. Dink tells Frankie he feels terrible about never coming to see him, but that he just couldn’t be associated with a convicted murderer when he was building up a high-class joint like the Regent Club. Back in the days of the Four Kings they ruled things by force, but now Dink deals with banks and lawyers, and his nightclub has a Dun & Bradstreet rating. 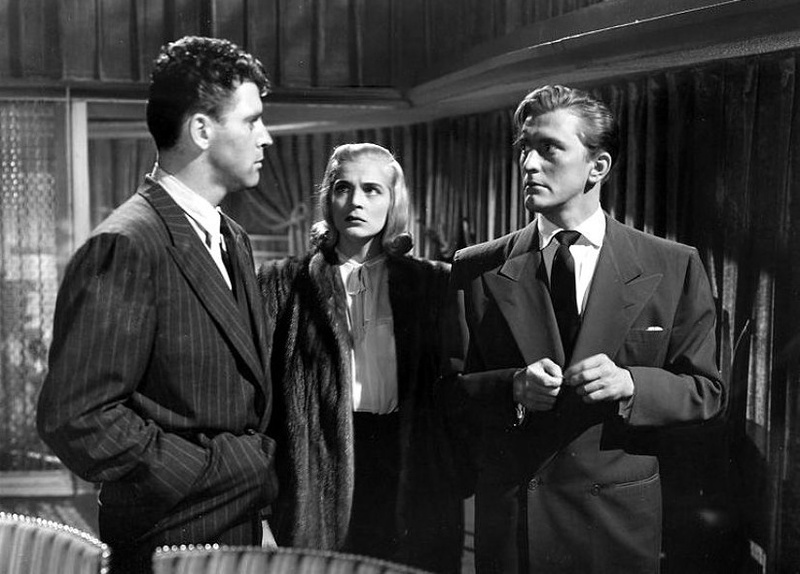 Dink manages to deflect Frankie for a little while by setting him up with his paramour Kay Lawrence, who’s played by the angular, dead-eyed beauty Lizabeth Scott. Dink tells Kay he wants her to find out what Frankie really wants, so he can help him, but she can’t help falling for Frankie a little, especially after Dink shows his true colors by planning to marry the wealthy Mrs. Alexis Richardson (Kristine Miller) while telling Kay that it’s just to increase his wealth and prestige, and his upcoming nuptials don’t have to change anything between him and Kay. Frankie is volatile and brutish. He wants what’s his. But he’s like a bulldozer and Dink is like a silk curtain. No matter how hard he comes at him, Dink just seems to slide harmlessly to one side. Dink tells Frankie that their 50-50 agreement was based on their partnership in the Four Kings, not on anything future. Dave brought Frankie a lot of things to sign in prison that he didn’t read very carefully, and one of them was a dissolution of his partnership in the Four Kings. After closing costs, plus 6% interest compounded over 14 years, there’s $2,912 Frankie has coming to him. Dink makes it an even $3,000 and wishes him well. Frankie wants half of everything Dink has, but Dink doesn’t think Frankie’s entitled to anything Dink earned on his own after the Four Kings closed down. “How can you collect on a race when you don’t hold a ticket?” Dink asks Frankie rhetorically. This confrontation occurs about two-thirds of the way through the film, and it’s a great sequence. Burt Lancaster was a former acrobat and circus performer, and he was always wonderful at using his body. When he finally realizes how little he can do to get what he wants from Dink, he stands alone in the middle of Dink’s conference room, his fists balled, bent over in anguish. 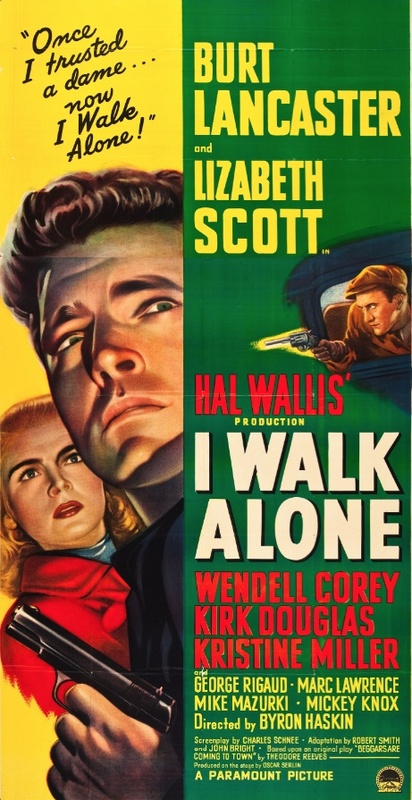 I Walk Alone was directed by Byron Haskin and produced by Hal B. Wallis. The screenplay is by Charles Schnee, and it’s based on the play Beggars Are Coming to Town by Theodore Reeves. It’s not a bad film, but it’s not good enough to be called a classic. Part of the problem is that it too often strays from its most compelling feature, the snarling macho men at its center who oppose each other. I was really caught up in the story when Dink denies Frankie his half and Frankie vows to kill him, but then the story veers into less interesting territory. Where does Dave’s loyalty lie? What does Dink have over Dave? Will Dave be able to break free? Does Kay really love Frankie? And so on. Lancaster and Douglas are both outsized personalities who dominate the screen. By the time things come to a head two-thirds of the way through the film, the picture might have been more compelling if it focused solely on them and their head-to-head conflict, instead of spinning off a variety of plot threads. The film ends with a shootout in a darkened room that we’ve seen a hundred times before and will probably see a thousand times again. Like everything else in the film, it’s not terrible, but it’s too run-of-the-mill to be truly outstanding. I Walk Alone is definitely worth seeing if you’re a die-hard fan of either of the two lead actors, and worth a look for film noir fans who’ve never seen it. If, however, you’re looking for something truly great, I Walk Alone never quite rises above the level of entertaining mediocrity. Posted in 1948, January 1948 and tagged Burt Lancaster, Byron Haskin, Film Noir, Hal Wallis Productions, Kirk Douglas, Lizabeth Scott, Mike Mazurki, Paramount Pictures, Wendell Corey. Bookmark the permalink. Nightmare Alley is a harrowing tale of manipulation and degradation. It’s a journey through a night-lit carnival world in which everyone is out for themselves and no one cares who they chew up and spit out if it means climbing one more rung on the ladder. 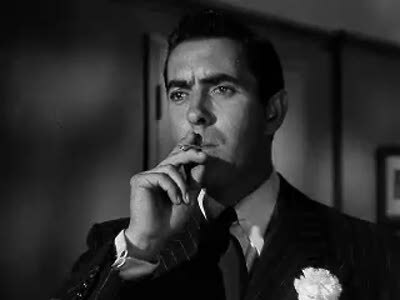 It was Tyrone Power’s second film directed by Edmund Goulding, and it’s miles ahead of their first collaboration, The Razor’s Edge (1946). While The Razor’s Edge was more acclaimed at the time of its release — four Oscar nominations and one win — it’s aged poorly, and the Eastern mysticism at its center is supposed to be profound but is really just high-minded hokum. Power made The Razor’s Edge with Goulding as a deliberate attempt to break out of the mold he’d been cast in as a handsome swashbuckler with a limited range. His performance wasn’t bad, but at times it seemed forced. In Nightmare Alley, however, he completely loses himself in his character. His performance as Stanton “Stan” Carlisle — a grasping, duplicitous carny who graduates to tony nightclub performances and fleecing the wealthy — is so natural that I think someone who’d never heard of Tyrone Power before seeing Nightmare Alley would never guess that he wasn’t always seen as a serious actor. Stan is one of the most memorable film characters I’ve seen in a long time. He’s a drifter who joins a carnival and attaches himself to an aging mentalist named Zeena (Joan Blondell) and her husband, broken-down alcoholic Pete (Ian Keith), then throws both of them aside when he’s learned all he can from them. 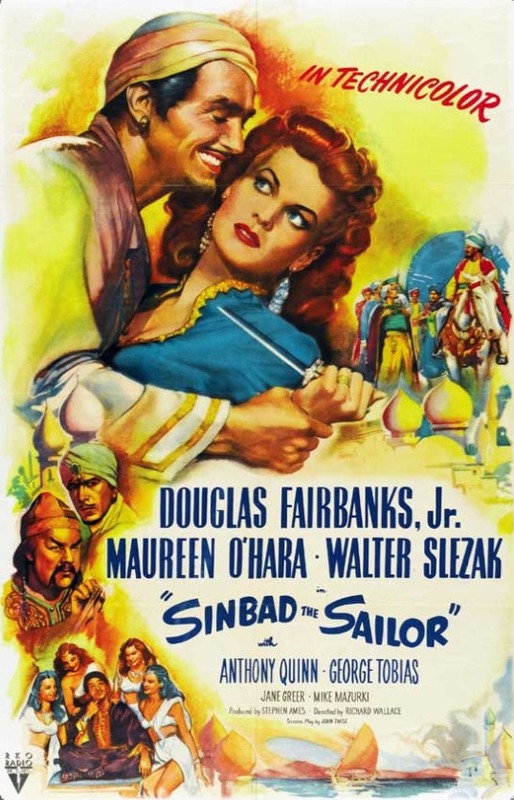 He takes up with Molly (played by the stunningly beautiful Coleen Gray), much to the dismay of her boyfriend, the brutish, simple-minded carnival strongman Bruno (Mike Mazurki). Using the techniques he learned from Pete and Zeena for cold reading a subject and conveying information through a spoken code, he and Molly take their mind-reading act to posh nightclubs, where they’re a sensation. Stan is more than just a quick study. He has an innate ability to see through people and glean their pasts, their innermost desires, and their secrets. The fact that he uses his talents to take people’s money doesn’t bother him, but it bothers Molly, who’s the only character in the film who’s essentially good and decent. I love the scene in which Stan breaks down and finally uses the oldest trick in the book on Molly. He admits he’s a bad person and a hustler, but that he’s never lied to her. He may have used everyone else in his life, but he’s never used her. This is, of course, also a lie, which becomes clear when he tosses Molly aside for Lilith Ritter (Helen Walker), consulting psychologist to Chicago’s upper crust, and uses Lilith’s knowledge of the intimate details of the lives of the wealthy to take them for all they’re worth. 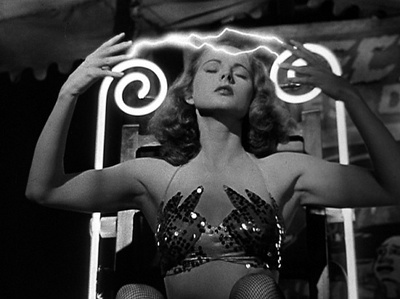 While The Razor’s Edge was about Power’s character’s spiritual awakening, Nightmare Alley is about his character’s use of spiritual tropes to lie, cheat, and steal. 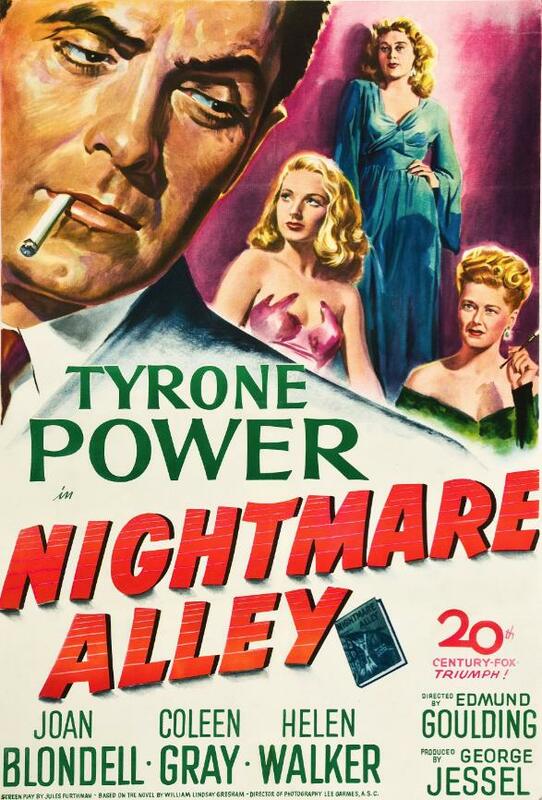 Maybe it’s just the cynical age in which we live, but I thought that The Razor’s Edge came off as disingenuous, while Nightmare Alley was utterly convincing. 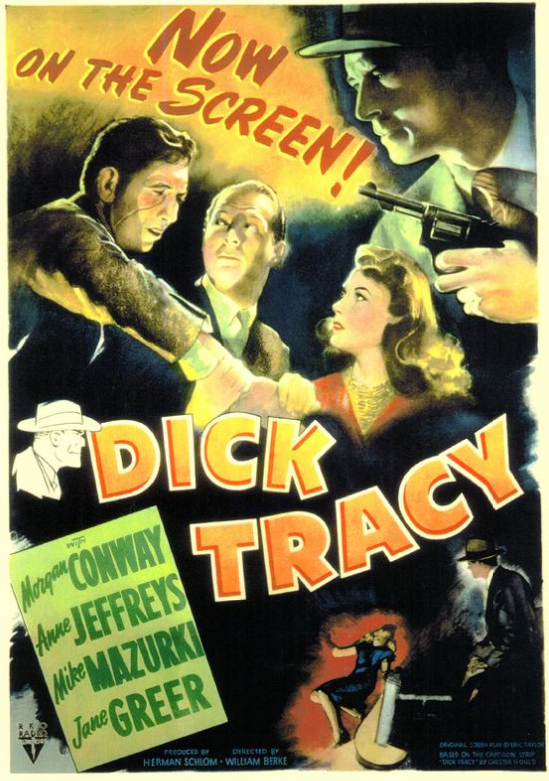 Nightmare Alley is based on the best-selling novel by William Lindsay Gresham. Certain aspects of the novel had to be sanitized for the film version, but it’s still a kick to the stomach. Its story of degradation is so powerfully told that there are many people who saw the film a long time ago and claim that there was a horrifying scene that was deleted for the DVD release. The scene they remember never existed (even in the novel), but it’s easy to see why they think they saw it. Like Psycho (1960) and Rosemary’s Baby (1968), Nightmare Alley uses the power of suggestion to make you remember horrifying things that you never actually see. It’s a great film, and one that will stay with you a long time after the credits have rolled. Posted in 1947, October 1947 and tagged 20th Century-Fox, Coleen Gray, Edmund Goulding, Film Noir, Helen Walker, Joan Blondell, Mike Mazurki, Tyrone Power. Bookmark the permalink. Abbott and Costello were one of the most popular comedy teams of the ’40s. They’re still famous for their “Who’s on first?” routine, and a lot of their film and radio work is still funny, as long as you’re in the mood for their old-fashioned brand of burlesque antics. If you’re not in the mood for them, or if one of their bits falls flat, Lou Costello is the most irritating man on earth. In Abbott and Costello in Hollywood they play a couple of bumbling barbers named Buzz Kurtis (Abbott) and Abercrombie (Costello). Who’s ready for lots of physical humor involving shaving cream and shoe polish? When we first meet the boys, they’re in the supply room of Hollywood Shop: Barbers to the Stars. Even if you’ve never seen an Abbott and Costello picture before, as soon as you see Abbott instructing Costello on how to shave a customer’s face without cutting him while Costello listens attentively, holding a straight razor poised above a balloon covered with shaving cream, you’ll know the balloon is not long for this world. If you have seen an Abbott and Costello picture before, you’ll know that after the balloon breaks and sprays shaving cream all over Costello’s face, there will be a second balloon. Will there be a third balloon? I don’t want to give anything away. Thankfully, the movie doesn’t coast on barbering gags, since Abbott and Costello decide they want to be Hollywood agents at around the 30-minute mark. As with any Abbott and Costello picture, however, the plot is secondary to gags and wordplay, so it doesn’t really matter whether they’re playing geologists or Portugese noblemen. 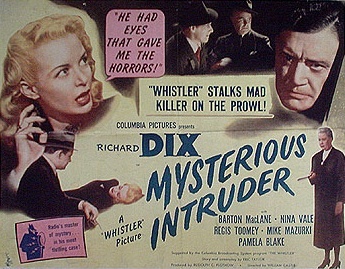 A lot of the routines in this movie are clunkers, but a few are laugh-out-loud funny, such as the one in which Costello hides out by pretending to be a dummy on the set of a western, and finds himself being punched in the face and thrown over a balcony in take after take by craggy-faced tough-guy character actor Mike Mazurki. Most of the “stars” they meet in Hollywood (like Rags Ragland) are long forgotten, but if you keep your eyes peeled, you’ll see a young Lucille Ball in a small role. Posted in 1945, October 1945 and tagged Abbott and Costello, Abbott and Costello in Hollywood, Ben Lewis, Bud Abbott, Bud Abbott and Lou Costello in Hollywood, Charles Schoenbaum, Charles Walters, Comedy, Frances Rafferty, George Bassman, Hugh Martin, Jean Porter, Lou Breslow, Lou Costello, Lucille Ball, Martin A. Gosch, Metro-Goldwyn-Mayer, Mike Mazurki, Nat Perrin, Rags Ragland, Ralph Blane, Robert Stanton, S. Sylvan Simon, Ted Duncan, Warner Anderson. Bookmark the permalink.